One of the perks of being on maternity leave is being able to go out for lunch during the week without being limited to a one-hour lunch break. The novelty of this still hasn’t worn off for me and I intend to carry on taking full advantage. However, finding local places that do a lunch worth spending money on is not always easy and trips into town centres are not that appealing when you have a little one in tow and a needy dog waiting at home. So I was delighted when a friend suggested that we meet at the Catwalk Café in Knowle, Solihull for afternoon tea. I’d never been here before and I had no idea that they did afternoon tea. Nothing makes me more content than scones, clotted cream and copious amounts of tea; I take great delight in realising that the sandwich layer is finished and it’s time to move onto the cakes, and I love pouring my own tea from my own tea pot. It makes me feel Royal. Or at least a little bit spoilt. And the Catwalk Café didn’t disappoint. The interior of the fashion themed café takes on a Parisian style with vintage furniture, black and white floor tiles and an exposed shop front that give the impression that you’re dining al Fresco on a street in Paris. The attention to detail continues at your table with lace table cloths, silver tea pots, sugar bowls and china tea cups. The staff all wear traditional black and white uniforms, all adding to the feel of a traditional tea house. Despite the pride that has clearly gone into this place, the atmosphere is very relaxed and informal. We stayed for three hours and didn’t at all feel like we’d outstayed our welcome, despite our babies crying from time to time. 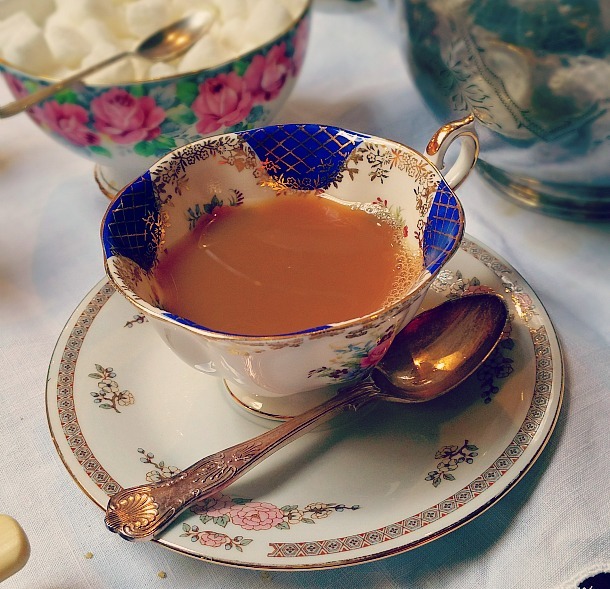 The staff were very friendly and attentive and provided us with unlimited amounts of tea. 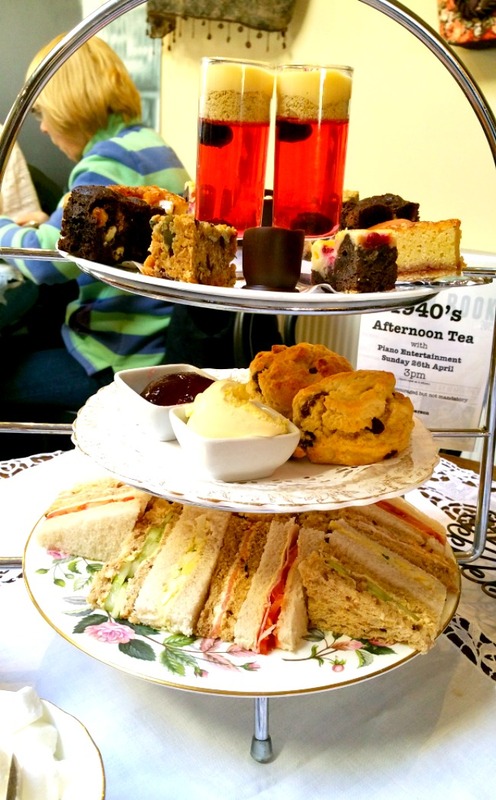 The afternoon tea costs £25 for two people and is worth every penny. A definite must-do for those living in and around Solihull.